Central Maine Power is getting ready to put a lot more money and other benefits on the table in its effort to win approval for a new transmission line through western Maine. 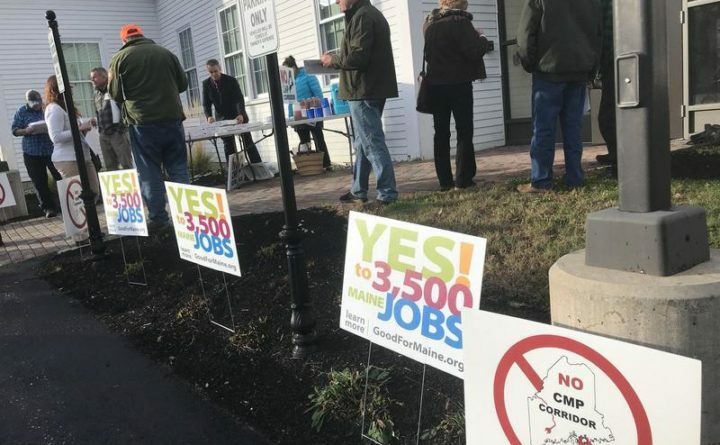 That’s according to a Farmington lawmaker who has been working to leverage a better deal for his county from CMP as it tries to push the controversial project through Maine’s permitting processes. CMP wants to build a new high-voltage transmission line across western Maine forests and under the Kennebec River, down to Lewiston. The $1 billion project would bring electricity from Hydro-Quebec’s vast dam system to consumers in Massachusetts, where lawmakers are looking to secure low-polluting energy resources. As state regulators move closer to deciding whether the project is in the state’s best interests, CMP is negotiating with key players. Those include large energy consumers (such as paper mills), environmentalists and the state’s public advocate. And after months of speculation, state Rep. Scott Landry said CMP appears ready to deal. “They are chomping at the bit to do it,” he said. Landry is also a longtime Farmington selectman who has participated in discussions with CMP about potential benefits for Franklin County. He said a top CMP official called him late Friday to say that a new offer was on the table that is aimed at appeasing stakeholders, including Public Advocate Barry Hobbins. Hobbins has demanded at least $50 million to reduce electricity bills for low-income electricity users. And Landry said CMP told him the benefits package would be even larger than the $200 million-plus offered to New Hampshire by developers of a competing project in that state — which was ultimately rejected by regulators there. A CMP spokesperson had no comment, but on Friday the company did file notice with the Maine Public Utilities Commission that it intended to reopen formal negotiations with various parties. One big question remains — whether CMP can win backing from any environmental groups. The Conservation Law Foundation, a regional environmental organization, issued a press release late Friday calling for a benefits package similar to the one Landry described. CLF also called for grid improvements that would facilitate the development of renewable energy in Maine.